There may be very few smart speakers out in the Indian market right now but we wager it'll grow by next year. For the moment, let's present the best one out there with a Digit Zero1 award. 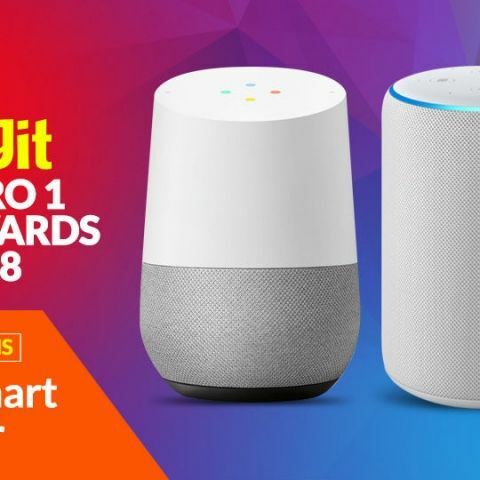 We believe that the smart speakers market has expanded in India to a point where the best one out there merits a Digit Zero1 award. Sure, the market may still be tiny and the number of offerings may be single-digit, but we expect the competition only to stiffen in the coming years. So, let’s take a look at the best smart speakers we have in our country this year. Which model will win a Digit Zero1? Though it was launched in 2016 globally, the Google Home made it to India only this April. Google’s flagship smart speaker in a manner of speaking, the Home uses a 2-inch driver for vocals and dual 2-inch passive radiators for low-frequency thumps. It employs two microphones to listen actively for ‘OK, Google’ calls. Google Assistant is the virtual assistant Google employs in the Home smart speaker. Is it impressive enough to bag a Digit Zero1 award though? Let’s find out.Click here to buy. The second-generation Amazon Echo Plus was launched this year along with ten other Echo devices. It sports a 0.8-inch tweeter and a 3-inch woofer to deliver a balanced sound output. On the top it has a seven-microphone array to listen actively for wake calls. It also doubles up as a hub device to connect wirelessly to ZigBee-enabled home equipment. Alexa is the virtual assistant inside the Echo Plus. Will she show her skills off enough to win a Digit Zero1 award? Let’s wait and watch. Click here to buy.